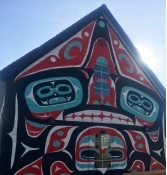 Midnight Sun Camp: July 13 - 17, 2019 *FULL!! 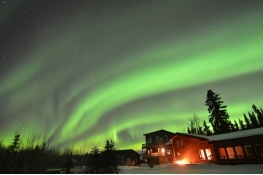 Discover the beauty of the North with us on this 4 day retreat. Every day is a new adventure and we can't wait to show you this amazing place! 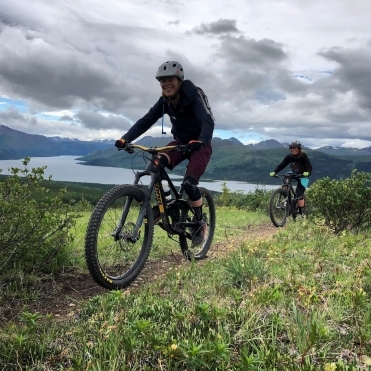 Carcross and Whitehorse boast a world class trail network ranging from flowy singletrack to stunning alpine descents. Session super fun rock rolls and technical features with our Sweet Skills Coaches and also enjoy longer rides with incredible views in every direction. 2 camps to choose from for 2019! 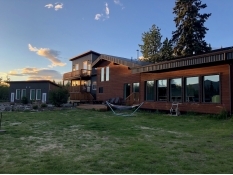 Experience the midnight sun and endless blue skies in July or join us in September for a co-ed retreat and enjoy the stunning fall colours and northern lights. At the end of each epic day, we’ll relax at the quiet and secluded lodge with more amazing mountain views and gourmet meals. 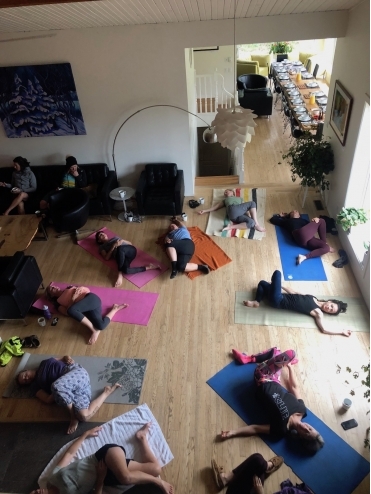 Daily stretches with Tera Meade are on offer to help you limber up for the next day. Then top it all off with a hot tub and a cool drink. This retreat suits the intermediate to advanced rider looking to pedal and learn in an inspiring setting with the best coaching. Small group instruction with a maximum of 6 participants to 1 coach. *so far this camp is 90% ladies! Airfare not included. Recommended airline to Whitehorse is Air North or Air Canada. Discount code for 10% off flights with Air North: BIKEJULY or BIKESEPT *please note more flight options for Air North will be listed closer to the New Year. 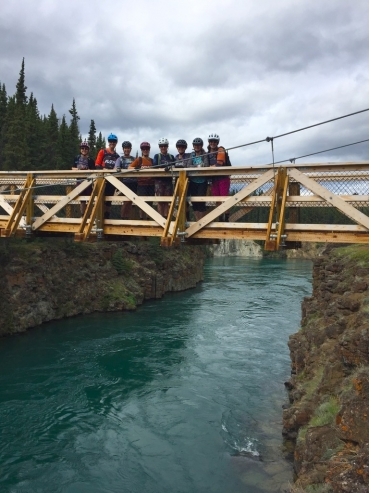 4-6pm Check into Boreale Lodge, build bikes, explore the surroundings, or just kick back and soak in some sweet Yukon views! 9am Load shuttle to Carcross for a day of riding & skills. 9:30am-4pm Skill sessions & rides. Skill sessions on the trails will include: high speed cornering, descending skills, rock rolls, technical riding/line choice, jumps & drops. 4:30pm Hop in the shuttle back to Boreale Lodge after an awesome day to kick back and relax! 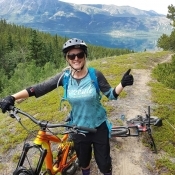 9:30am-4pm Shuttle up Grey Mountain for some of Whitehorse's best singletrack! 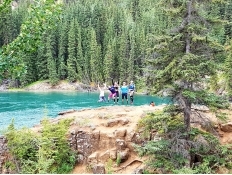 Wind down the forest towards the classic Yukon River Trail, stopping as we go to enjoy the views and explore Miles Canyon. Not as intense skill sessioning today but a really nice long 'must-do' Whitehorse classic! 4:30pm Hop in the shuttle back to Boreale Lodge after yet another amazing day! 9:30am-4pm Shuttle up high above Whitehorse for the best alpine descent and views of the trip, including the famous Starbucks Revenge trail! Stop to session skills along the trail. 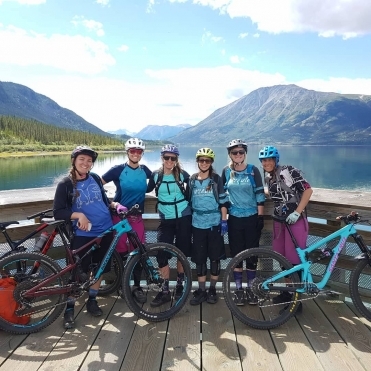 9-12pm Enjoy a few more shuttle assisted trails at Carcross, choose your favourite or ride something new! 2pm Load the shuttle back to the airport, bringing home many amazing memories!